Originally published in the ABC, June 3, 2018. A small city in rural Mongolia is possibly the last place you'd expect to find a latte rivalling the best Melbourne has to offer. Liz & Murray Benn out the front of the Fairfield Cafe and Guesthouse. Yet Murray and Liz Benn have brought Australian flavours to Tsetserleg, opening a cafe and guesthouse eight hours west of the Mongolian capital, Ulaanbaatar. In 2010, the Benns sold everything in Australia and moved to Tsetserleg with their four kids. They hoped to capitalise on a growing adventure-tourism industry while helping a struggling community. They bet on a business model untested in rural Mongolia — and it's paying off. "We get lots of travellers who leave Europe and travel here by car or motorcycle, or bicycle, with their sights set on [our guesthouse], knowing when they get here, there'll be a latte ready for them," says Murray. Stephen Regensberger, a guest at the Benn's guesthouse. It's the tourists who drop in who seem most surprised. 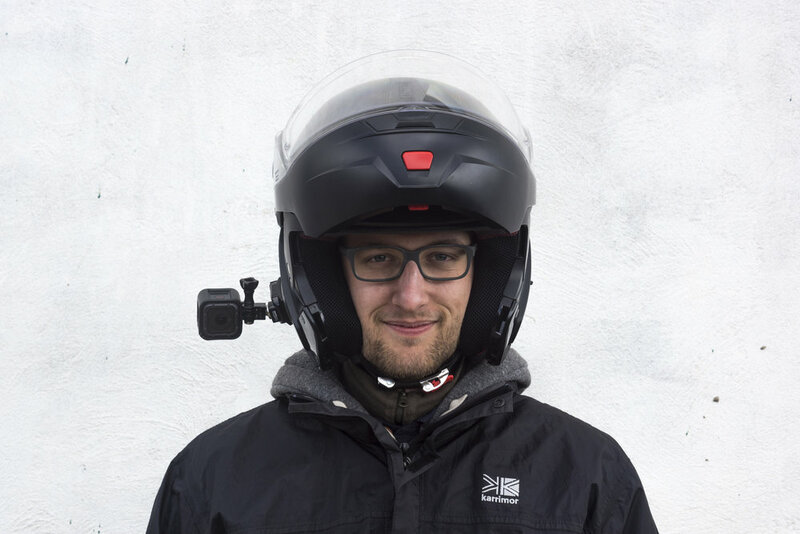 "It was the last thing I expected … I was surprised to find such Western comforts here in Tsetserleg," says 25-year old Austrian Stephen Regensberger, three days into a 10,000 kilometre moped ride from Ulaanbaatar to Innsbruck. But it's not just Western comforts on the menu — it's opportunities for locals, too. Horses graze on the edge of Tsetserleg. Tsetserleg feels like the set of a period drama. Herders gallop in nearby fields and locals wear traditional winter garb, despite the warming spring air. Yaks roam the streets and many people still live in gers, which are much like yurts. Once 14 hours on dirt roads from Ulaanbaatar, a new tarmac road has cut the commute to a manageable seven hours. Munkhnasan Tsogoo, the provincial governor, is taking advantage of Tsetserleg's accessibility in the second year of his administration. Governor Tsogoo in his Tsetserleg office. "When I came to office, I had two economic focuses: improving education and growing tourism," he says. More Mongolians are now moving to Tsetserleg, hoping to find opportunities that are rare outside of Ulaanbaatar. When the Benns arrived, "there were just five car owners in town", Murray says. "Now we have traffic jams … it's crazy". Despite recent economic growth, poverty remains prevalent. Many drink heavily, with the local vodka selling for about A$2 a litre. Mongolia's per-capita alcohol consumption rate — only slightly above the global average — masks the extent of alcohol abuse in the country. One study found that "25 per cent of the heaviest drinkers consume over 80 per cent of all alcohol consumed". Bottle in hand, some take to the wilderness. Murray jokingly warns that the biggest risk for hikers isn't the black bears, wolves or Siberian vipers, but "running into a drunk guy". While Western tastes have grown with Ulaanbaatar's modernisation, the pace of change in Mongolia's countryside is slow. At first, locals didn't have an appetite for what the Benns were offering. One even suggested they exchange their espresso machine for instant coffee to meet local taste. "The locals tend to think good coffee is Nescafe", Liz says, sipping a hazelnut latte from her last glass — the rest are smashed and the nearest supplier is a full day away. But the Benns were confident their unique business would catch on. Initially geared towards intrepid tourists on trans-continental adventures, their promise of espresso-coffee and creature comforts is now luring more traditional tourists, Mongolians from the capital, and — finally — locals. The Benns' success is refreshing in a region beset by economic challenges and slow development. It offers hope that similar tourist ventures may succeed. 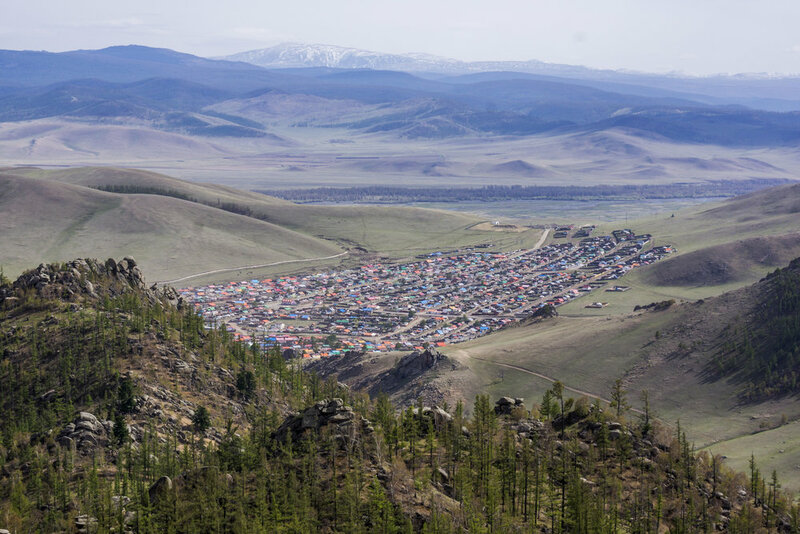 Half of all Mongolians live in Ulaanbaatar — many illegally camped on the city fringe in search of work. Despite recent population growth, Tsetserleg — like so many rural towns — still suffers from the flight of labour to the capital. Harsh winters mean most work in the countryside is seasonal. For those who find permanent work, a paycheck still isn't certain, with businesses often withholding salaries during downturns. Knowing tourism is one of few growth industries in Mongolia's countryside, the Benns — who had never run a cafe or guesthouse — dived in head-first. "We came with a goal to support a community in Mongolia with employment and mentoring," Murray says. By diversifying their operation — running a bakery, cafe, guesthouse, and providing boutique tourism packages — they can keep the doors open, even in the low season. It's allows them to employ 24 people, making them big enough to "fall into the same tax category as the local mine", says Murray. "We want to provide locals with consistency and a reliable source of income", Liz says. I was in Bishkek when Bourdain died.